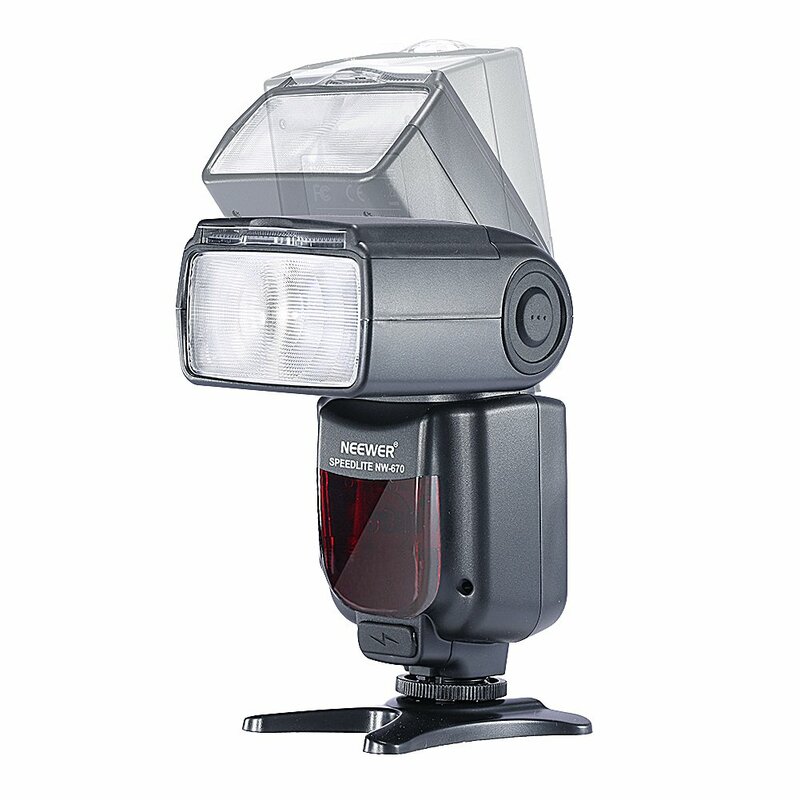 Powerful Flash with High Guide No.58 (m) / 190ft(at 105mm focal length,ISO 100 in meters/feet). 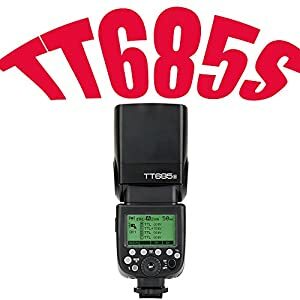 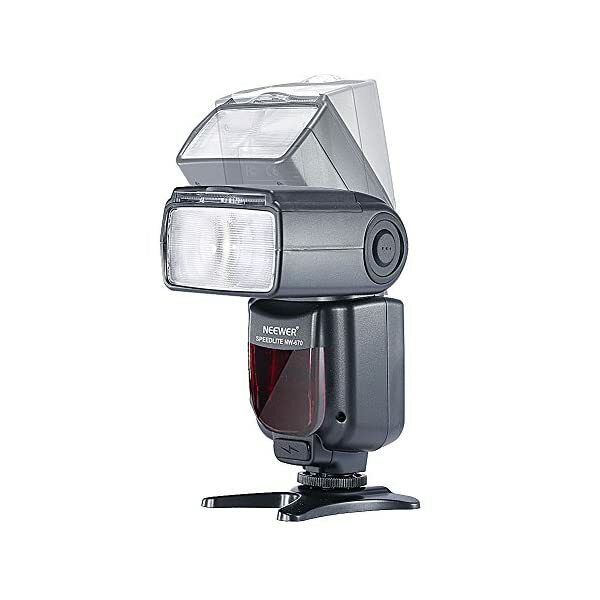 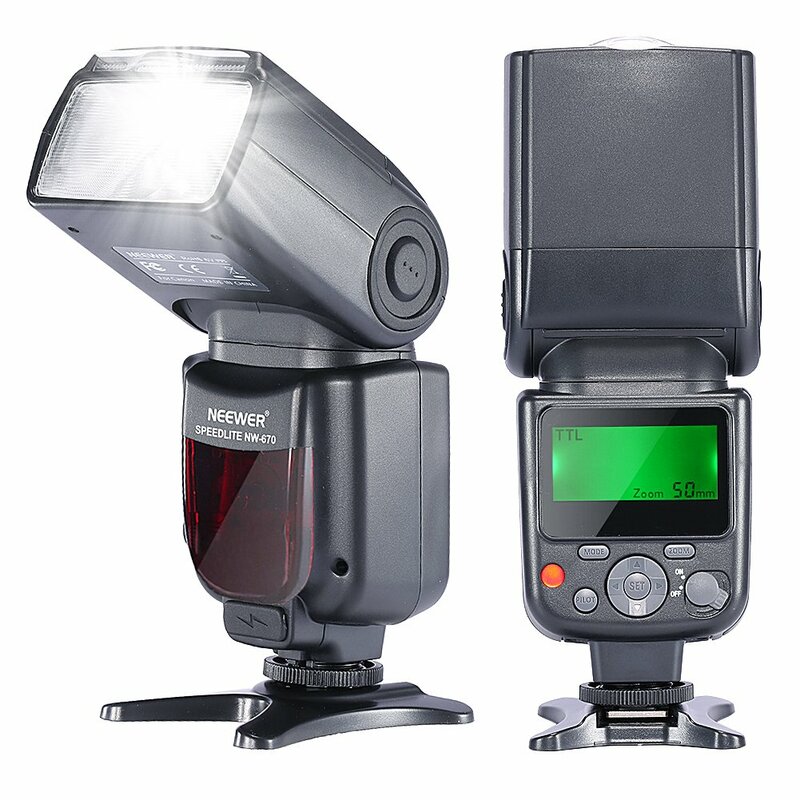 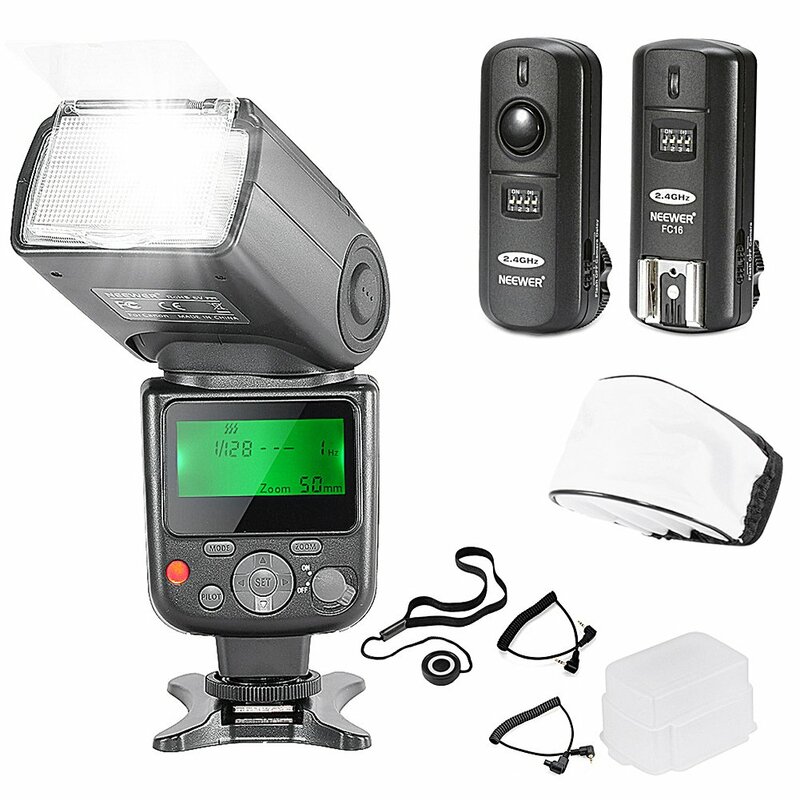 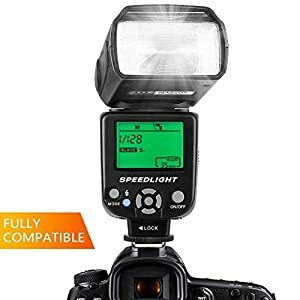 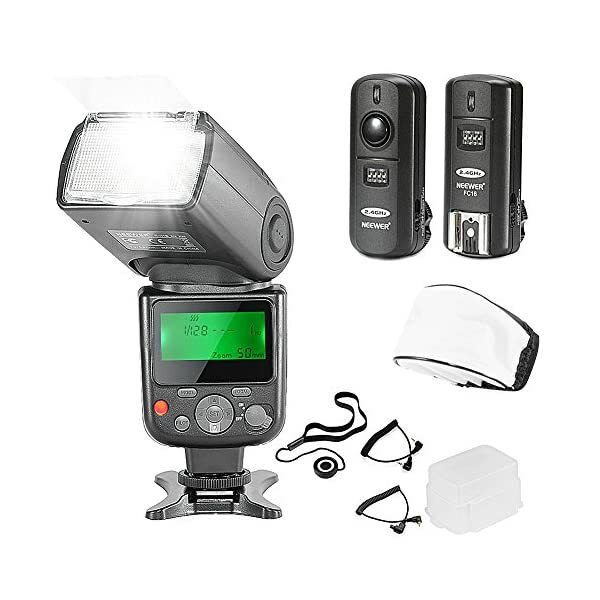 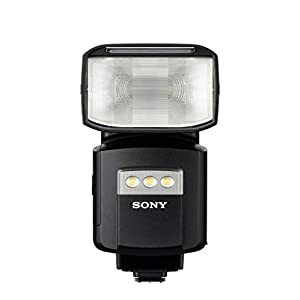 – Compatible with E-TTL Canon flash automatically. 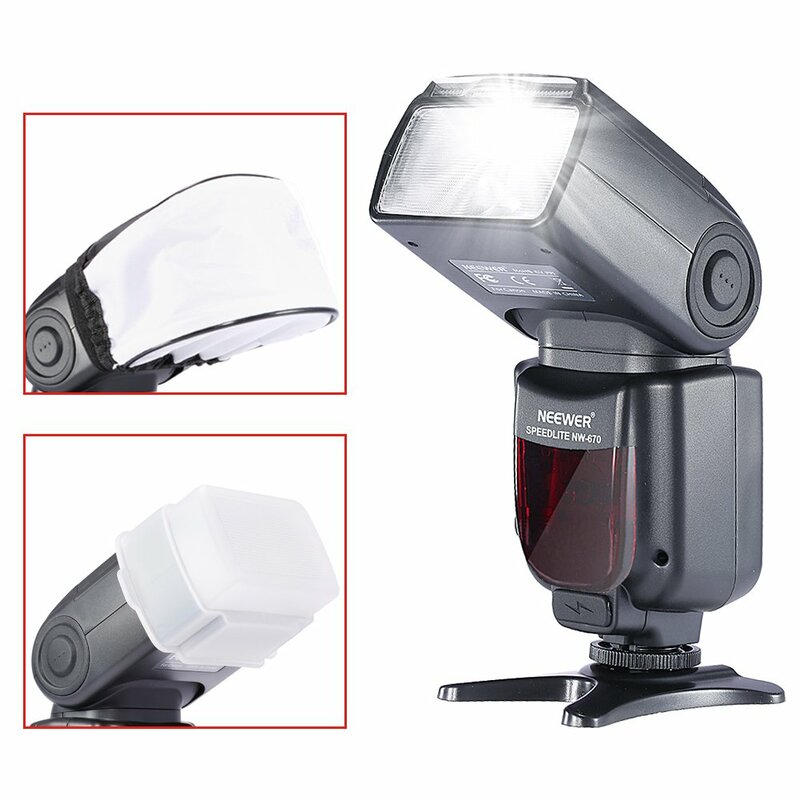 – It has wide angle diffusor and a built-in reflection panel. 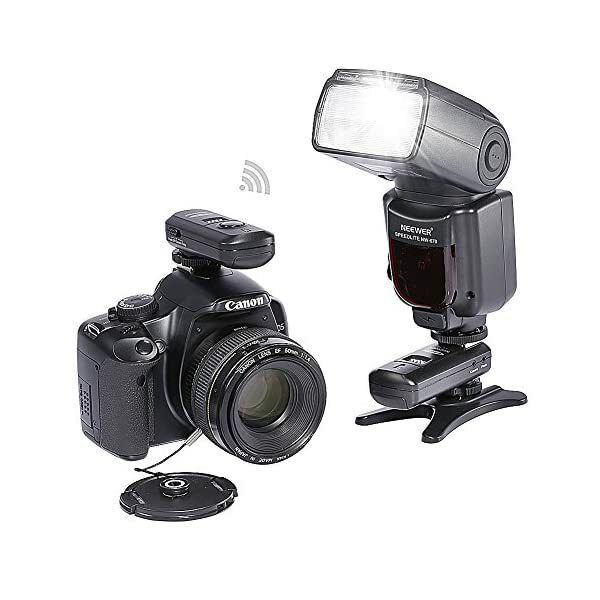 – Features a wireless trigger sensor for slave flash usage. 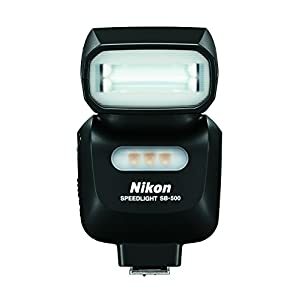 – Charging socket for external power pack: adds a charging socket for external power pack. 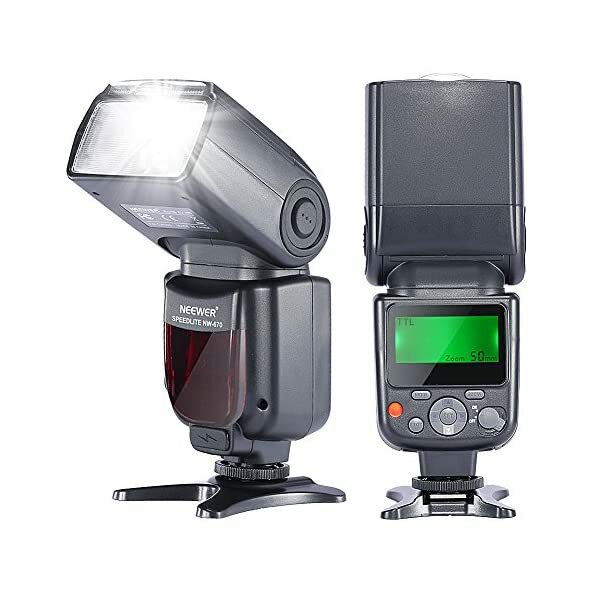 – PC synchronous port:simple for you to use the PC synchronous line. 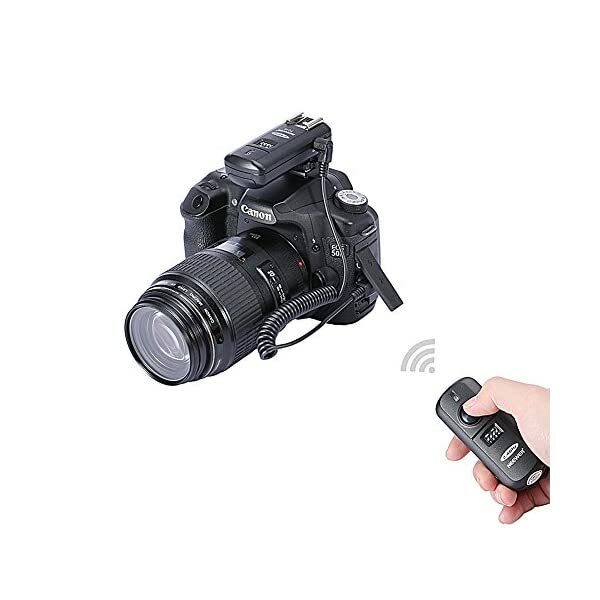 -It provides the convenience of a wireless camera shutter release, ideal for photographing wildlife, and also for macro and close-up photos. 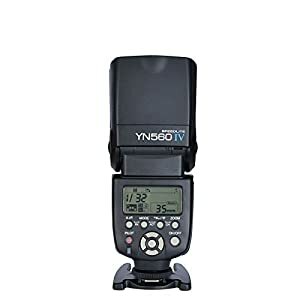 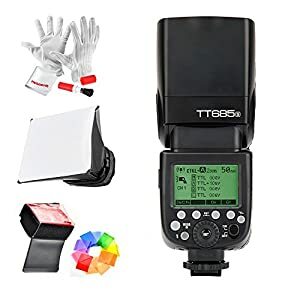 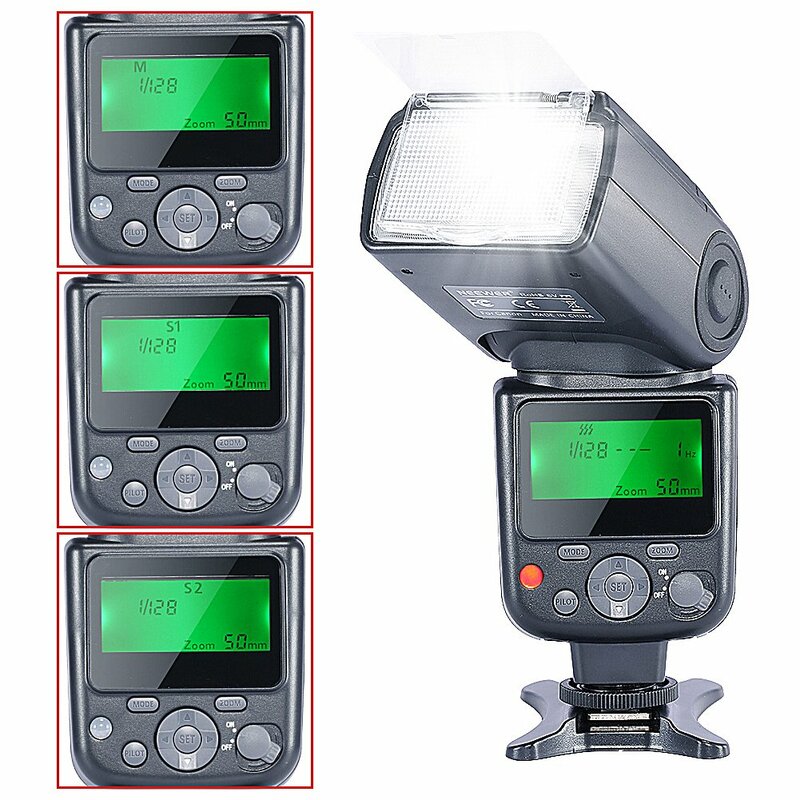 – 3-in-1 wireless remote control for camera, speedlite and studio flash. 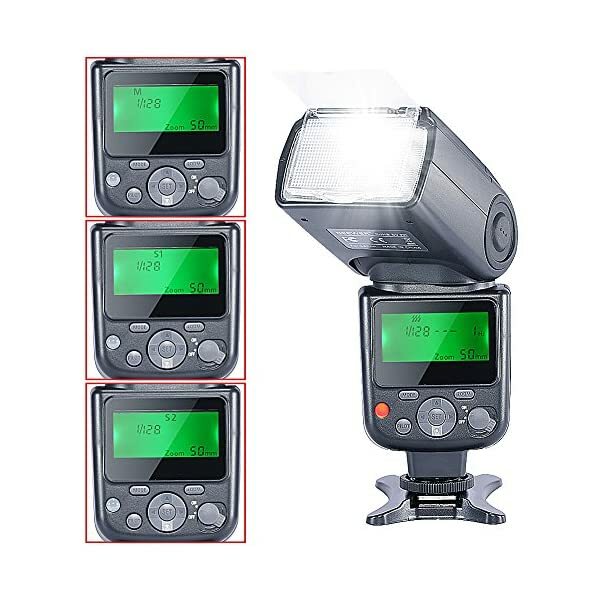 – Transmitter power:2 x AAA battery. 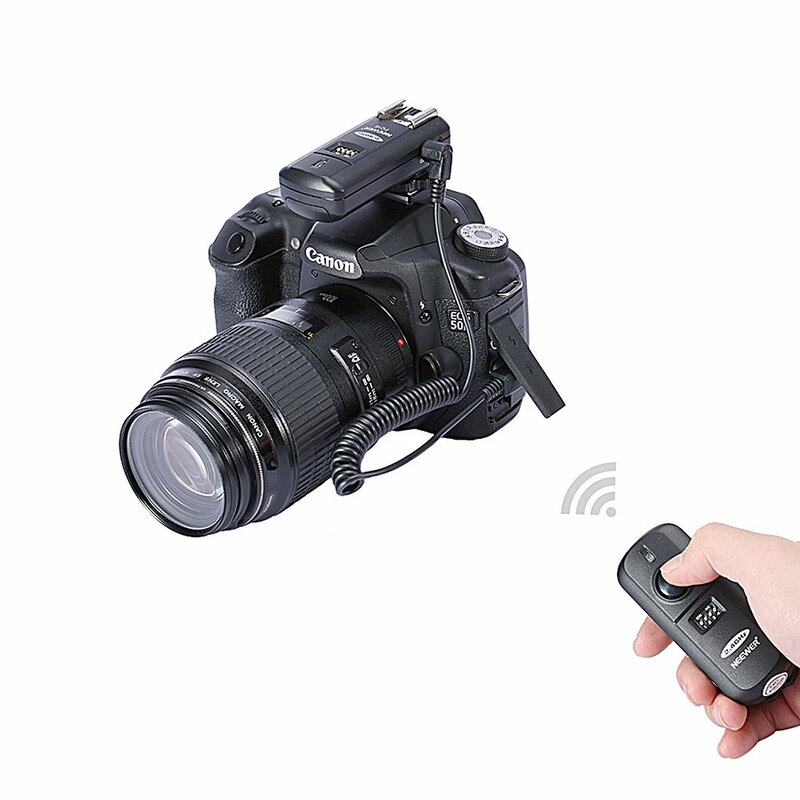 – Provides the convenience of a wireless camera shutter release. 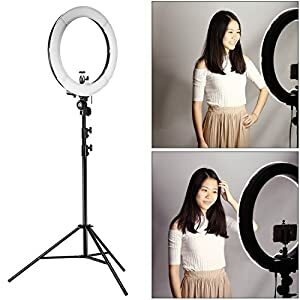 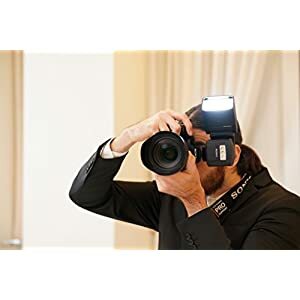 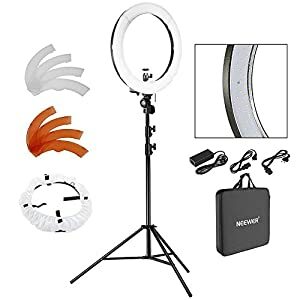 – Soft Flash Diffuser:spreads and softens the light emitted from your flash unit,bouncing off ceilings and walls, instead of coming from a single concentrated light source. 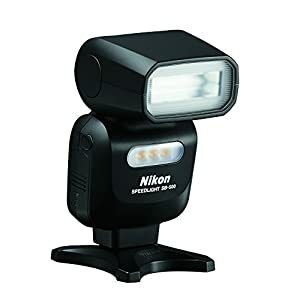 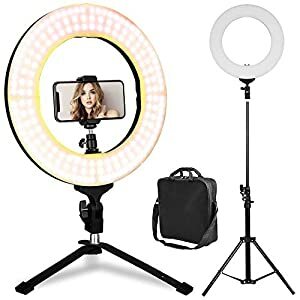 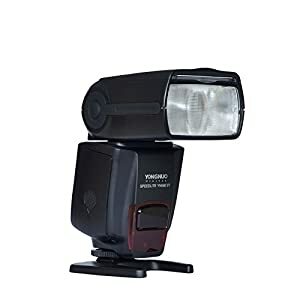 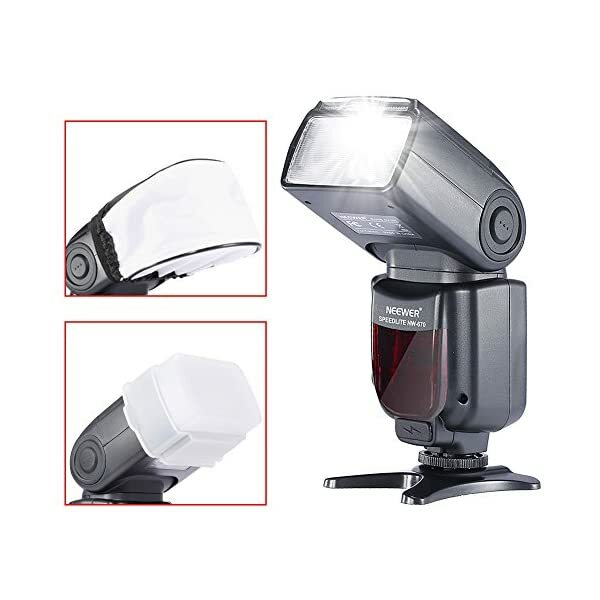 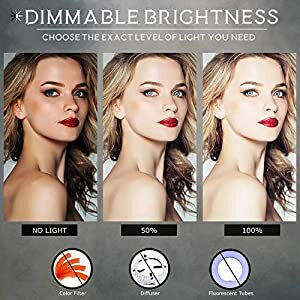 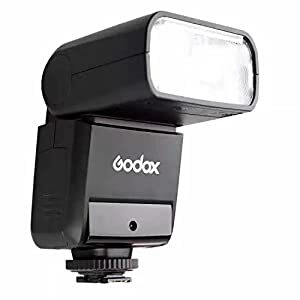 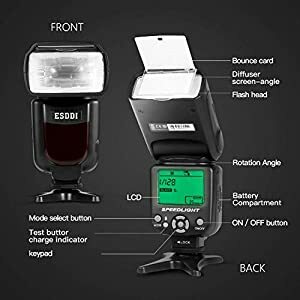 – Hard Flash Diffuser:Reduces and softens harsh shadows behind subject and eliminates red eye effect which makes the light looks more balanced and natural. 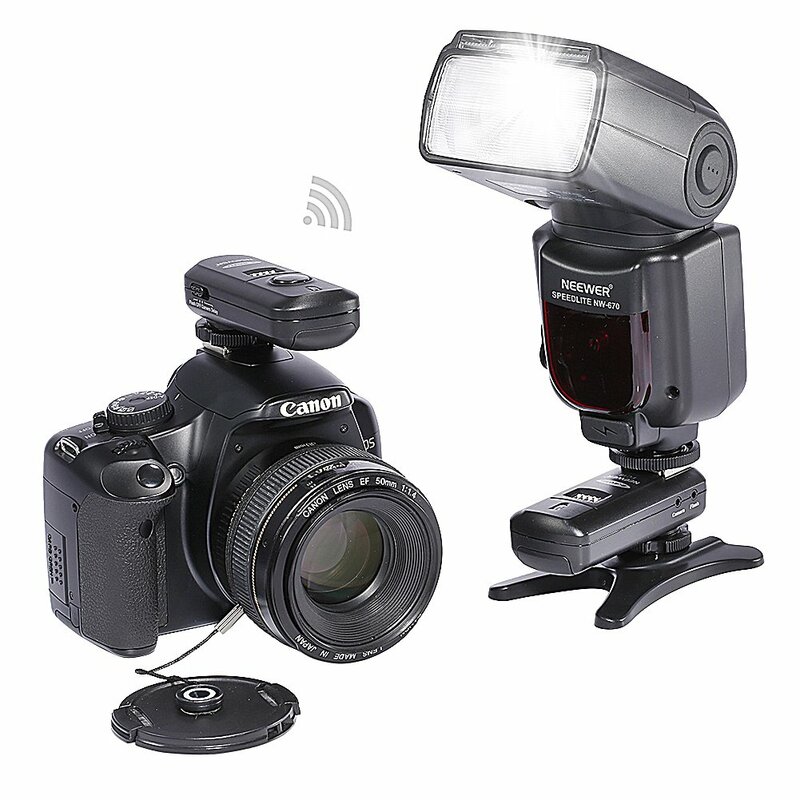 – Small button sticks to the front of your lens cap;fits snuggly around the circumference of your lens. 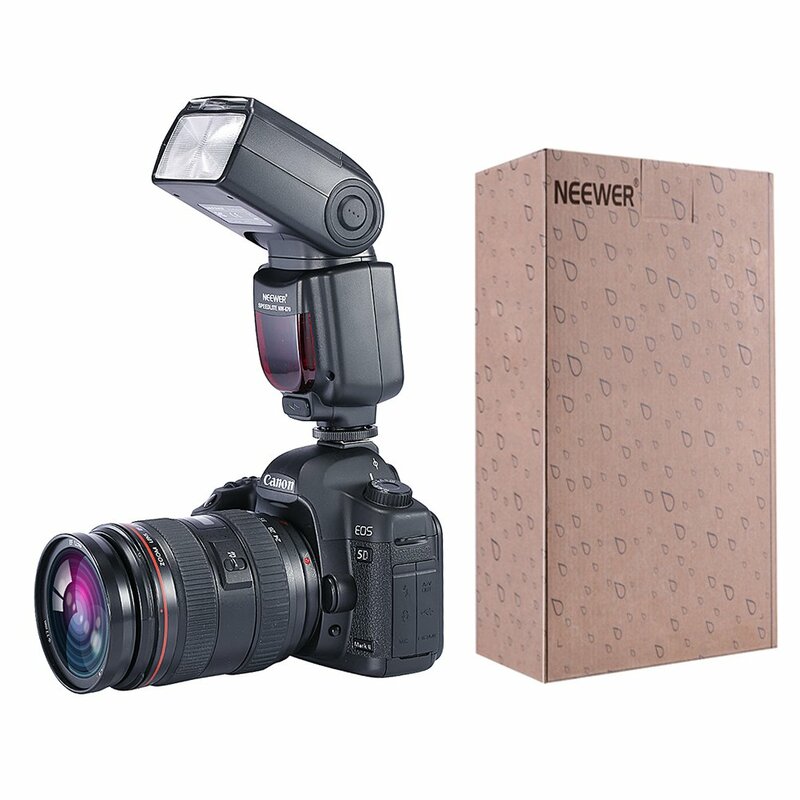 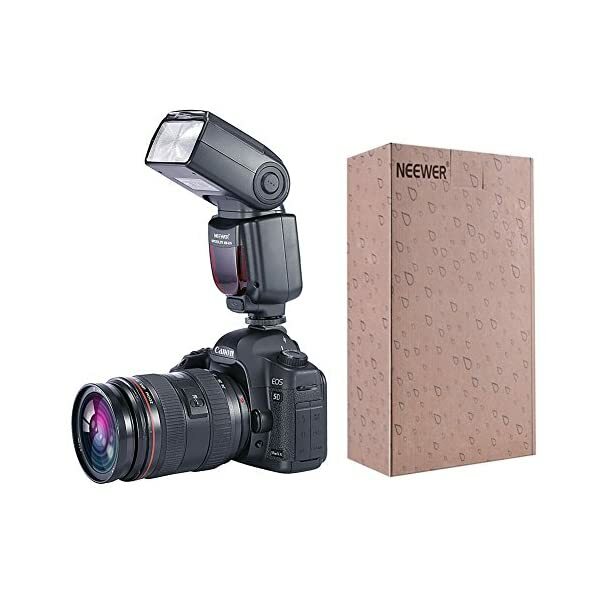 Backed with Neewer 1-Year 100% Satisfaction Guarantee. 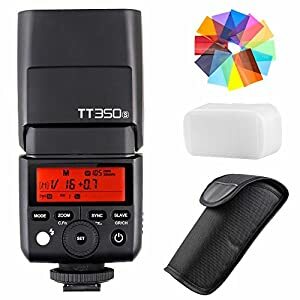 Compatible with Canon Rebel T5i T4i T3i T3 T2i T1i XSi XTi SL1, EOS 700D 650D 600D 1100D 550D 500D 450D 400D 100D 300D 60D 70D DSLR Cameras, Canon EOS M Compact Cameras.